PALESTINE, TX — A 74-year-old Palestine man who has preached at churches in Anderson County for more than three decades has been arrested and charged with indecency with a child. Hezekiah Stallworth, 74, of Palestine was arrested around 1 p.m. Friday at the Anderson County Sheriff’s Office after he had come in for an interview, according to Anderson County Sheriff Greg Taylor. Stallworth was charged with indecency with a child by sexual contact, a second-degree felony punishable by up to 20 years in the Texas Department of Criminal Justice, according to the sheriff. Stallworth has served as a pastor at both Oak Grove Baptist Church in Elkhart and Beulah Baptist Church just south of Palestine, according to the sheriff. “He preaches regularly at both of those churches,” Taylor said Friday. The alleged offense involved a female victim and occurred this past Sunday in an office at Oak Grove Baptist Church following services, authorities have said. “This particular incident involved a 7-year-old child that he fondled and touched inappropriately in a sexual manner,” Taylor said. Stallworth, whom authorities say has admitted to the offense, allegedly invited the child into his office by offering candy, according to the sheriff. The girl’s mother came to the sheriff’s office Sunday night and an incident report was taken, according to Taylor. The girl had made an outcry to her grandmother earlier in the day, the sheriff added. A forensic interview was conducted with the alleged victim Thursday, with Stallworth being arrested one day later on Friday, according to the sheriff. Although authorities believe similar offenses may have occurred, Stallworth “did not divulge other activities in the interview,” the sheriff stated. Taylor acknowledged the investigative process could be lengthy and “very far-reaching. Taylor said Stallworth is a well-known figure in the Anderson County Christian community who also occasionally attends other churches as a visitor. The sheriff said such allegations are troubling. 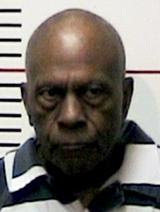 As of late Friday afternoon, Stallworth was awaiting arraignment in the Anderson County Jail.